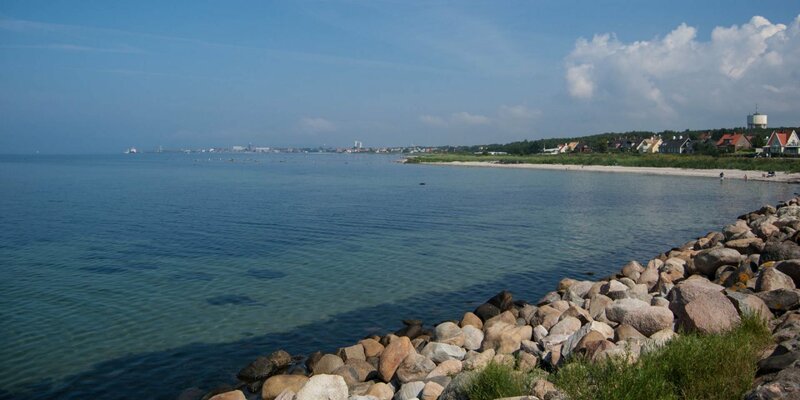 The beach Kvickbadet is about 250 meters long and is called City Beach because it is located near the city center of Höganäs, next to the marina. 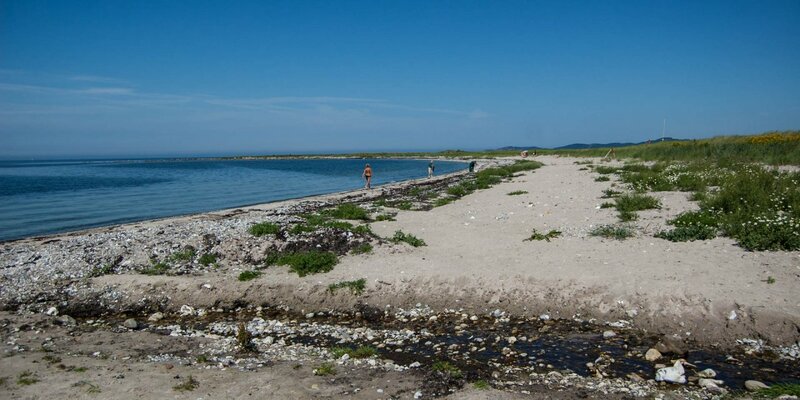 Kvickbadet consists of a sandy beach with a lawn, a bathing jetty, wheelchair ramp, shower, toilet, barbecue area, restaurant and kiosk. The shallow water is well suited for children, and there is a playground and a water slide into the water. 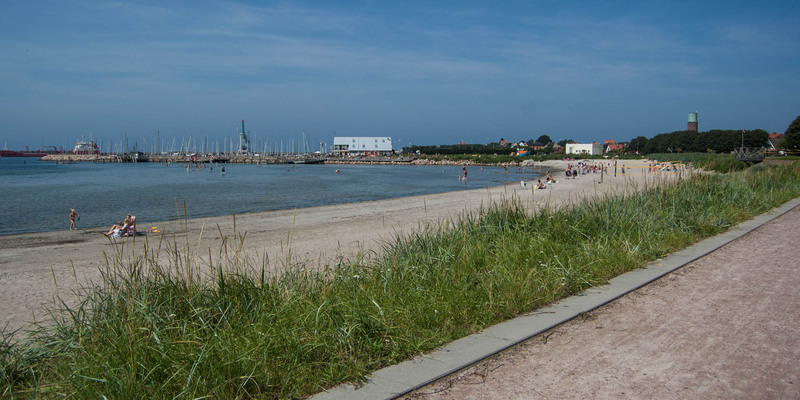 Parking is available above the beach on a park strip along Strandgatan. 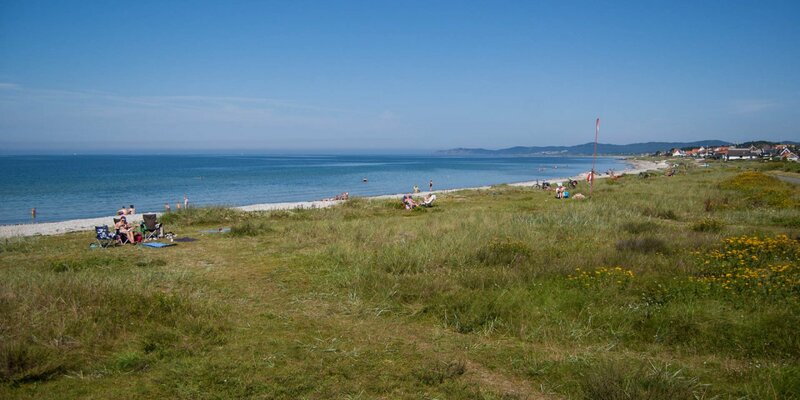 Due to its central location and various facilities, the beach is pretty crowded on nice days.